It’s a Star Wars baby name that feels surprisingly wearable in 2015. 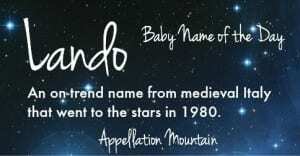 Thanks to Silent One for suggesting Lando as our Baby Name of the Day. Lando isn’t new. On the contrary, related names like Lambert and Landolf have long histories. Landry is also a cousin. 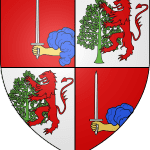 In Saxon and Old High German, the first element, either lant or land – means land. Back in the 900s, there was a Pope Landus. Landus is the Latinized form of his birth name, Lando. 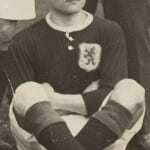 He served for less than a year, though exact dates vary and we don’t know much about him. There are a handful of other men with the same name, including several counts of Capua. The Capuas tended to draw from a small pool of names. There’s more than one Landulf, a Landenulf, a Pandenulf, and a Pando, too. The Dictionary of Medieval Names from European Sources lists several of these names, including Lanto, though not the ‘d’ spelling. Most Landos seem to have been Italian, both back in the day and in more recent centuries. Not that there are many in the last hundred years. But Lando has also survived as a sometimes-heard Italian surname. Most modern parents won’t think of Capua or Venice or Rome. We’ll almost certainly think of Cloud City. In The Empire Strikes Back – the second movie to be released in the Star Wars universe, but presently considered the fifth in the series – Billy Dee Williams played Lando Calrissian. Calrissian was a friend of Han Solo, and governor of Cloud City. Luxurious Cloud City hovered above the planet Bespin, a mining colony. Han and Leia took refuge there, awaiting repairs for the Millennium Falcon. And then? Darth Vader caught up to our heroes, and Calrissian betrayed them. And then betrayed Vader and joined the Rebel Alliance. More plot twists and turns followed, but ultimately, Han ended up frozen in carbonite until Return of the Jedi, when Lando helps Luke rescue Han and goes on to fight on the side of the Rebels. The character has appeared in plenty of Star Wars spin-offs over the years, so while it isn’t quite like naming your son Anakin, it’s still borrowing a major pop culture figure. Despite the heavy Star Wars associations, there’s reason to think that this name would wear just fine in 2015. Surname name Landon has been a Top 50 choice for boys in the US. Drop the final ‘n’, and you arrive at Lando. Names like Orlando and Roland have fared well, too. We do like an L name. YouTube sensation Link Neal has kids named Lily, Lincoln, and Lando. But mostly, it’s Lando’s ‘o’ ending that makes me think this name could catch on. Leo, Arlo, Milo … it fits right in. A handful of boys have received the name over the years. The peak? 25 newborns in 1980 – the same year we first met Billy Dee Williams in Cloud City. 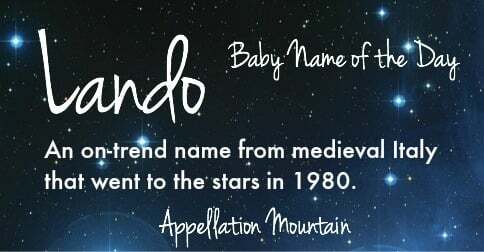 Nine Landos were born in 2014, making it pretty rare. If you’re after a Star Wars name that will wear well today, Lando is one to consider. And if you’re not all about a galaxy far, far away? It’s still a historically rich name with an upbeat, twenty-first century sound. What do you think of Lando? Is it too tied to Calrissian? Lando is also the name of the famous Louis L’Amour character in the book titled “Lando” which gives it a very macho, western vibe. My sister named one of her boys Nicolas Orlando, but when we all heard it we immediately started calling him Lando (big L’Amour fans). The next baby she mentally shrugged, went all in, and named her boy Jubal. Jubal is pretty much the quintessential Louis L’Amour character and name. Now her boys get lots of, “Don’t mess with Lando or Jubal–they’re Sacketts.” That pretty much makes the whole family happy. Including my dad who offered me all of his inheritance (as a joke) if I’d name my baby Echo to add another Sackett to his “collection.” I didn’t go for it. 🙂 In all, our family has 4 Louis L’Amour names amongst the grandkids. I think that it could totally work. Star Wars seems to like “L” names, too. Luke, Leia, Lando.